Welcome to District 12: #HungerGamesDVD Preorder Roundup PLUS Win a Trip to Catching Fire Premiere! 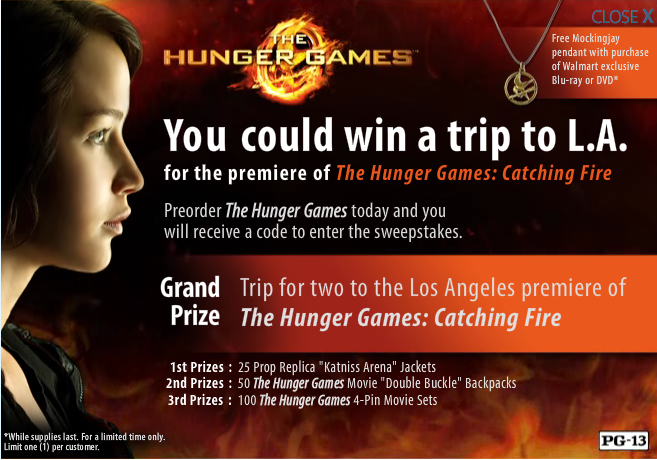 #HungerGamesDVD Preorder Roundup PLUS Win a Trip to Catching Fire Premiere! 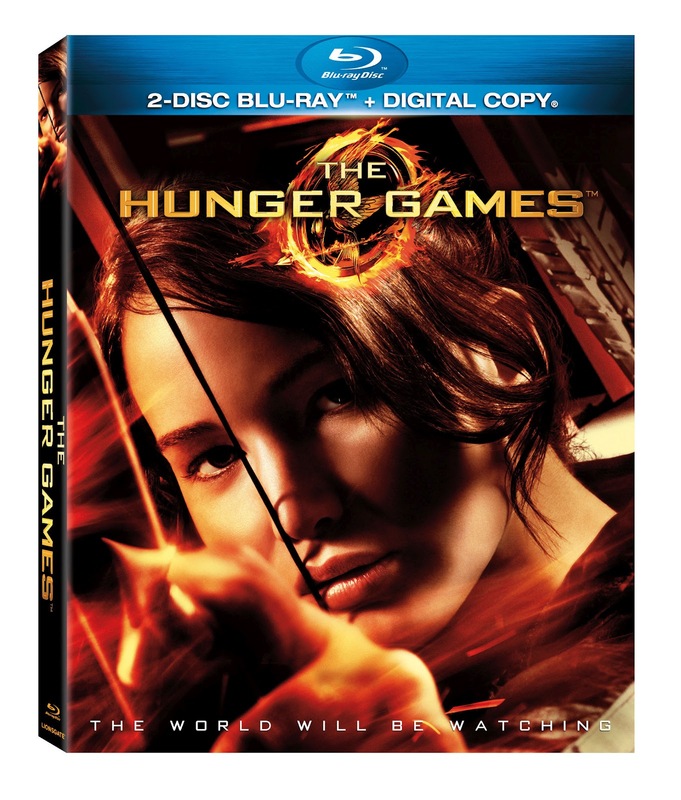 Today is the day you can order The Hunger Games on Blu-Ray/DVD! If you'd like to do so directly from Lionsgate, click HERE!! The DVD is $30.98 and the Blu-Ray is $20.98. You can check out that pre-order page HERE. If you do so, you should receive an email with your contest code and instructions within 72 hours. Thanks to our friends at Down With The Capitol, they have compiled a list of all other DVD pre-orders available right now, some stores with other exciting versions! The Hunger Games – Target Exclusive 3-Disc Deluxe Limited Edition DVD: $21.99 — Bonus Disc contains 45 minutes of additional features. 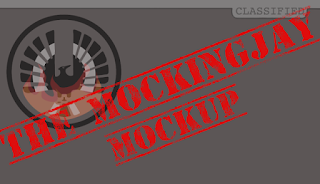 *while supplies last receive a 30 X 40 cloth poster of Katniss with purchase. * Free Hunger Games tote bag with purchase. 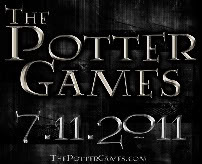 You can check out Down With the Capitol's full post HERE.